he said all we can show is a short clip of missile launch . 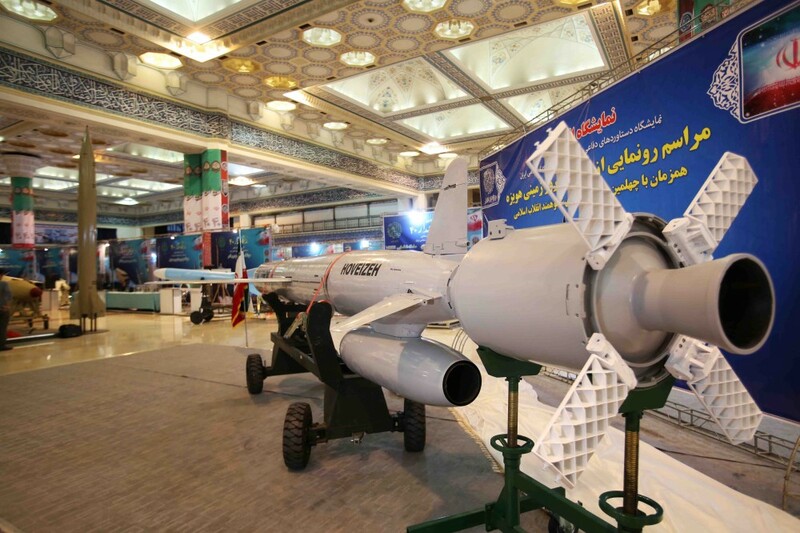 IRAN unveils "Sumar" surface to surface Cruise missile. oh sh!t- its kh-55. and those can do 3000km easy right? collegeboy16 wrote: oh sh!t- its kh-55. and those can do 3000km easy right? ''Up to 20 nuclear-capable Kh-55 missiles -- with a 3000km range -- and four 200-kiloton nuclear warheads were stolen by a shadowy group of former Russian and Ukrainian intelligence and military officers. Congrats to Iran. This is a much needed powerful asset. No bombers no SU-34 , how will Iran launch KH-55 ? The missile in the video is not KH-55 for me ,may be C-602 . Mass production ? If yes, how much ? nemrod wrote: Thx for this info. 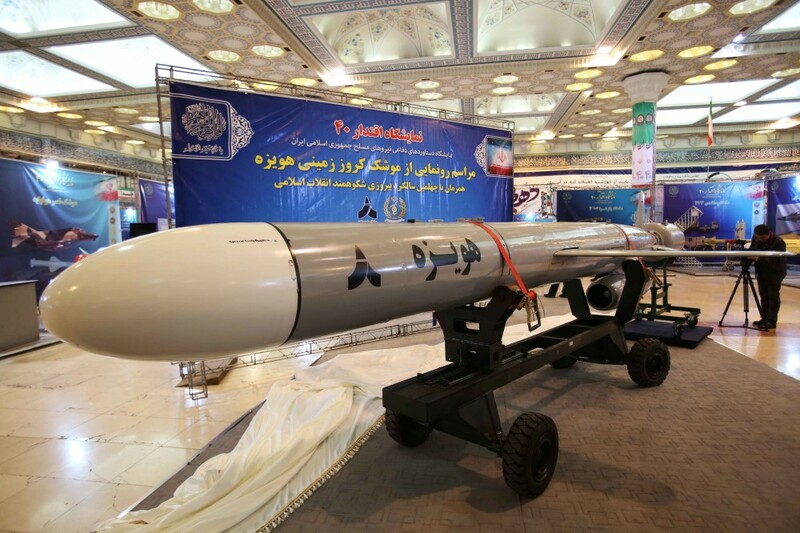 Iran has carried out its first successful test of a cruise missile of Sumar type, capable of carrying nuclear warheads, Die Welt newspaper media reported on Thursday citing a source in German intelligence services. Capable of carrying nuclear warheads, Iran doesn't even know where to start to design. Unless Ukraine has sold more than a couple of X-55 to Iran. However most of the Iranian efforts have been to obtain a ground based system with reliable thrust. This means this is mainly directed to definitely hitting "in front" not on "the right". Saudis must be thrilled. MOSCOW, February 2 (Sputnik) — Earlier in the day, media reported that Iran had carried out its first test of a cruise missile of Sumar type, capable of carrying nuclear warheads. The missile, launched on January 29, covered some 600 kilometers (370 miles), German Welt newspaper said, citing German intelligence services. TEHRAN, February 27. /TASS/. Tehran has successfully test-fired its sea-launched cruise missile Nasr, Iranian Defense Minister Hossein Dehghan told Mehr news agency on Monday. The tests were held as part of the Iranian Navy’s large-scale drills code-named Velayat 95. The newest cruise missile Nasr has been launched. It has successfully hit the target, Dehghan said. 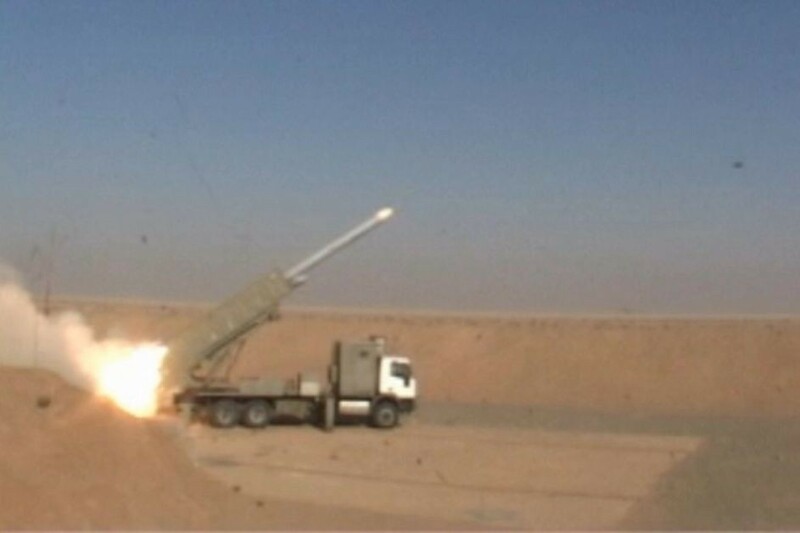 Meanwhile, the news agency Tasnim reported that the Iranian Navy had displayed and successfully test-fired an advanced domestically-made guided missile system dubbed "Dehlaviyeh," "which is specialized in targeting vessels and ships." According to the agency, the laser-guided weapon successfully hit the naval targets. The basic phase of the Velayat 95 war games began on Sunday in the Strait of Ormuz, the Gulf of Oman and in the north-western part of the Indian Ocean - from the Iranian territorial waters to the Bab el-Mandeb Strait. The drills involve the Iranian Navy’s surface ships and submarines, naval aviation, including helicopters, reconnaissance aircraft and unmanned aerial vehicles, and also amphibious assault and Special Forces units. 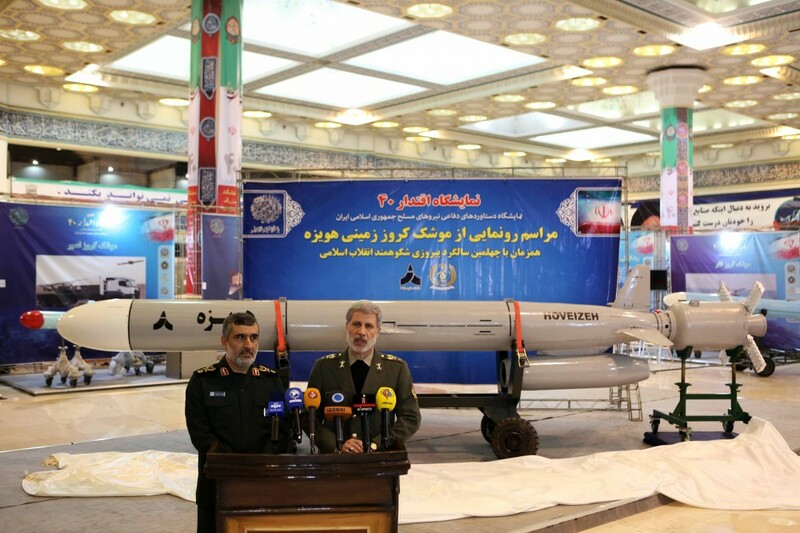 Tehran, February 2, IRNA - On the eve of the 40th anniversary of the victory of the Islamic Revolution of Iran, a new, home-produced, long-range ground-launched Hoveyze missile was presented by experts from the country's defense ministry. 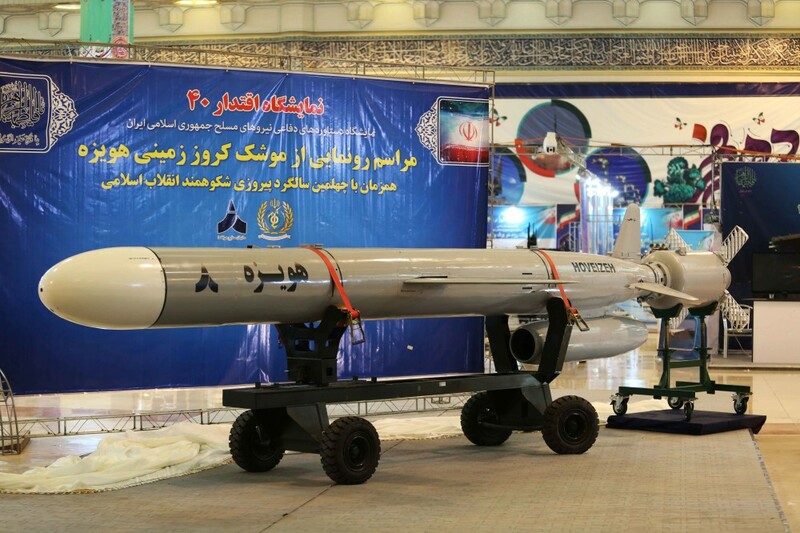 Speaking at the Iktidar-40 military-technical exhibition, Iranian Defense Minister Amir Khatami said that the Hoveyze missile is considered an important defense achievement, which shows no obstacles can stop Iran’s progress. Speaking about the Hoveyze missile, the Minister of Defense noted that the missile’s range is more than 1,350 km. Quick preparation, low flight altitude, high accuracy of navigation and power of destruction are characteristics of the Hoveyze cruise missile. As you can see, this is again the Kh-55-like cruise missile with a starting accelerator for a ground launch, which is a development of the Sumar missile shown in 2015, which was created as a result of many years of work on copying the Kh-55 missiles produced as a result famous scandalous history in Ukraine in the early 2000s. However, judging by the sample shown, the Hoveyze rocket had clearly changed the engine, and it was reported that the range of Sumar missiles was only 700 km. Apparently, this led to work on the creation of a version with a range increased to 1350 km due to the installation of a new engine. Let me remind you that the range of Sumar missiles was not originally called and, by analogy with the X-55, it was estimated at 2,000-2,500 km, but there were suggestions that it would be difficult for Iran to make a full-fledged copy of the X-55 missile engine, which actually turned out to be , moreover, rockets are launched not from air carriers, but from the ground. As a result, even the new "Hoveyze" has a half to two times shorter range than those assumptions. Although even with a range of 1350 km in the range of the missiles is Israel and most of Saudi Arabia. General Amir Khatami (right), Minister of Defense and Logistics of the Iranian Armed Forces, and General Amir Ali Hajizade (left), commander of the Iranian Aerospace Corps of Iranian Revolutionary Guards, against a cruise missile. These cruise missiles would be ideal for a start, but back them up with ballistic missiles too.